Coffee can provide a little more than your morning jolt of energy. 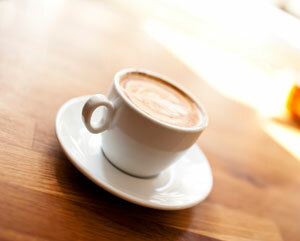 A growing body of research suggests that drinking coffee could lower your risk of Alzheimer’s disease. The latest study suggests that drinking several cups a day could decrease dementia risk. In the study, researchers took blood samples from 124 adults aged 65 years and older. Adults who later developed dementia tended to have lower caffeine levels in their blood and reduced levels of three key cytokines known to protect against cognitive decline. Caffeine increased these cytokine levels when researchers fed lab mice with caffeinated water. This corroborates the results of a 2009 study that revealed that people who regularly consumed coffee reduced their risk of Alzheimer’s disease by 65%. But caffeine isn’t the only source of coffee’s cognitive benefits. Coffee is also rich in antioxidants and anti-inflammatory compounds known to decrease dementia risk. The catch? To experience the same benefits as the caffeinated mice, humans would have to drink five cups of coffee a day. If the thought of that much of coffee makes you jittery, there may be other ways to ward of cognitive decline like exercise, social activity, taking steps to avoid heart disease and hypertension, and eating foods rich in antioxidants. Klugman, A et al. Antioxidant Enzymatic Activities in Alzheimer’s Disease: The Relationship to Acetylcholinesterase Inhibitors. Journal of Alzheimer’s Disease 2012; 30(3)” 467-474. Written by: Michael Melton on June 20, 2012.